Although prenuptial agreements have developed a reputation for being at best unromantic and at worst a mockery of the vow of marriage, they are fast becoming commonplace for couples of all walks of life, not just the wealthy. Despite marriage being very much an emotional life decision, a pre nup is simply a smart financial decision, not a reflection of distrust or anticipation of marriage failure, and therefore should be dealt with accordingly. We have seen a definite increase in prenuptial agreements in recent times, a trend that can be seen as a reflection of their growing importance for people entering marriage. A prenuptial agreement is a legal contract written and agreed upon by a couple prior to marriage outlining the division of assets in the case that the marriage ends in divorce. A prenuptial agreement includes terms for the possession of assets, property and future earnings as well as spousal support if agreed upon by the couple. Why has there been a rise in prenuptial agreements? There are many reasons for the recent rise in prenuptial agreements, each reflecting a drive towards sensible financial management. Recent rocky economic climates around the world have caused a loss of income and property wealth, and have resulted in a growing desire to protect wealth and assets. As well as this, a rise in the divorce rate offers a harsh reality check for couples entering marriage. With almost half of marriages ending in divorce in Australia, people are now becoming more realistic in regards to safeguarding their assets and income in the unfortunate case that their marriage breaks down. A shake up of traditional family roles in modern times can also be attributed to the rise in prenuptial agreements, with a growing amount of women initiating these arrangements. Women are now firmly ingrained in the workplace and many would like to protect their financial independence with the establishment of a prenuptial agreement. Finally, with more marriages occurring later in life, more people entering marriage have established incomes and accrued assets, and therefore have more finances to manage at the time they decide to get married. Despite this trend, it’s also important for people with lower income and minimal assets to safeguard their future wealth through a prenuptial agreement. Why is it so important to come to a consensus on the agreement? It is not uncommon for one party to reject the decision to establish a prenuptial agreement. Yes, it may seem unromantic, however coming to a mutual consensus in regards to a prenuptial agreement can actually put the future of your marriage in good stead. If you are unable to agree on a pre nup, it is unlikely that future financial and other marital decisions will be smooth sailing. However, if you are able to make agreements about these things prior to your marriage, it can be an indicator of more collaborative financial decision making within the marriage. It’s important for both parties to seek advice and fully understand their place in the agreement. Pre nups should be a beneficial arrangement for both parties in the case of divorce, not only safeguarding one person’s income and assets, but safeguarding couples from each other’s debt. If one party is pressured into agreeing on certain aspects of the prenup, resentment may ensue causing stress on the marriage. 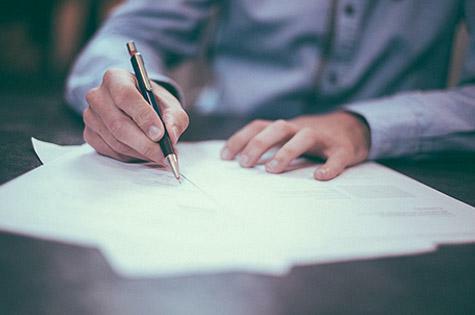 If you are looking to establish a prenuptial agreement, or if you would like some legal advice in regards to an established agreement, please do not hesitate to contact Owen Hodge Lawyers on 1800 770 780. Laura Gardiner is a Family Lawyer at Owen Hodge Lawyers. Superb publish legal counsel, but you must be aware that numerous excellent divorce attorneys near to me tend to be available that have affordable rates. the yec org Overcharging the actual authorized options is actually frustrating and extremely less than professional. It is the finest concept to employ a professional along with smart costs, as well as that will give the appropriate attention to your own situation. Having difficulty navigating your return to work after giving birth?